Seeing the first rays of spring sun makes me incredibly happy. Done are the days of standing in the morning at the train station in the dark and freezing cold. And even though it is not fully spring yet, i felt updating my makeup will maybe make it feel like it is already here. Another change which came with the slightly warmer weather again is that i also bike from the station to my work, so i also wanted to make sure that my make up will stand the physical activity glow. Now some of this products might look less spring for some people but i find that anything to light pink will just wash my face out, so i am foregoing that trend entirely. But enough gibber gabber and lets get to the products which have put the joy of spring into my step and face . I have been loving the L'oreal BB creme "skin perfection". I use their serum and since it did wonders for my skin, i thought i give this a shot and i very much like it. It gives just the right amount of coverage and lasts a fair amount of time even with all the biking. I use the famous garnier one before but found that it was to fatty for my skin. Along with the BB creme i use a powder and i purchased finally the Bourjois healthy balance powder. This feels very light weight and in combination with the BB creme gives me a very even but still natural teint. 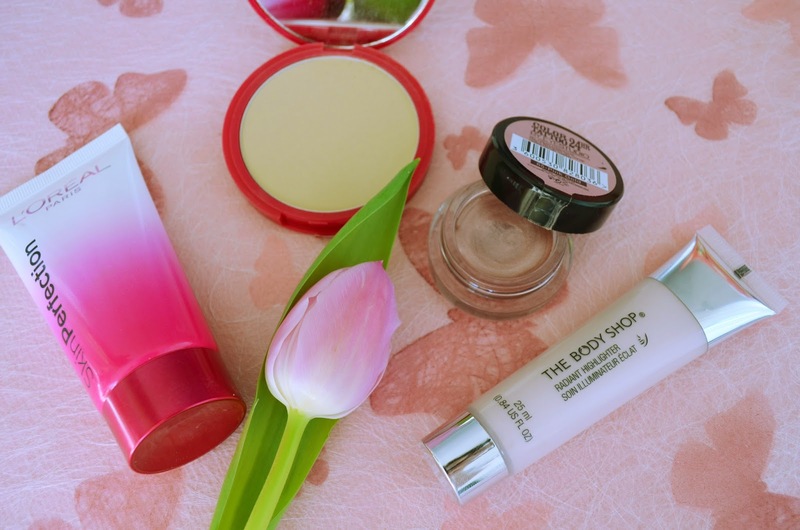 On days that i feel particulary dull i love to add a bit of the bodyshop radiant highlighter under the BB creme. It won't turn you into a disco ball but leaves a subtle radiance that can be build up. Perfect for a spring fresh face. Ooh blushes, how love them. As i said i am not going all pinky pink because it will make me look like i have fever with my pale skin and dark hair. 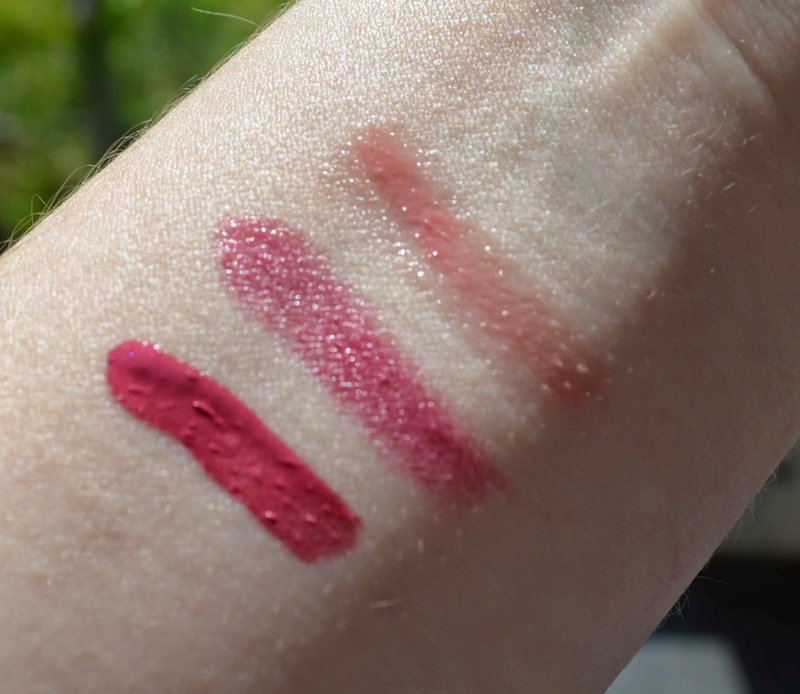 But i have been loving this two blushes recently for the right amount of healthy colour. This is the kiko mosaic blush (isn't it gorgeous) in inspiration rose coral from their generation next series. I have used this blusher a fair amount of time and as you can see the mosaic stays intact. The other beauty is from one of my favourite brands. The Balm. The Balm for me combines the fun and quality of Benefit with a lower price tag. Its not quite budget but i think i paid about 17 euro for this blush which i find reasonable. 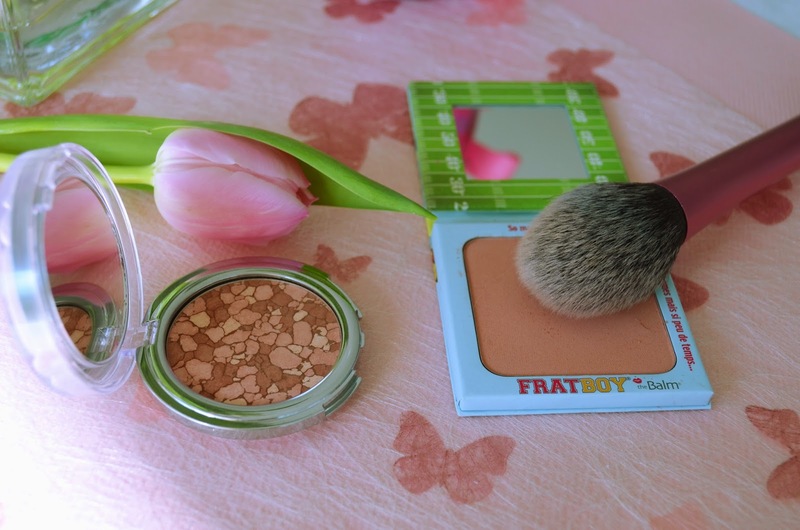 This is their Fratboy blush and it comes in a cute cardboard packaging. It also has a cardboard envelope so it is fit for travel though i would not pop it permenantly into my handbag. This one is to be dosed carefully since the colour pay off is amazing. But with my Real Techniques blusher brush it glides on perfectly. Seriously if you never tried a The Balm blusher, get out there and pick one up. You can thank me later. 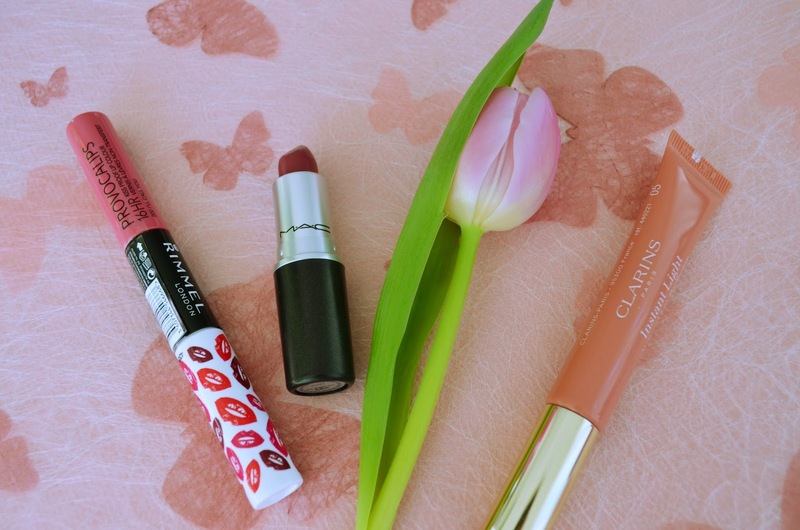 So the last products i wanted to show you are my three favourite spring lipsticks. Now as i mentioned those might be a bit dark for some but to me they are perfect for my complexion now in the spring where i leave my beloved reds behind for a bit. The Rimmel Provocalips finally have hit Belgian Drugstores and i was super exited to pick up this colour "I'll call you". I had brought "Play with fire" (a strong red) from London and it carried me over every christmas party and market. This one does not last quite as long but still longer then any other lipstick i ever had and the colour is drop dead gorgeous. The second one is the Mac lipstick in Plumful. I just love the colour and looks very natural on me but still gives me the bump of colour i need. The third one is a new love i purchased on my birthday weekend in Bruge. It is the clarins instant light lip perfector. The only negative thing i can say about this is that its not a lot of product but that might also be me overusing it. It smells gorgeous (somehow like waffels and sirup) and it moisturises my lips and makes them look plumb and full. This can handle the comparison with a decent lip balm any day but still gives me some colour. I also sometimes apply it over another lipstick (e.g the Rimmel provocalips) and it mixes gorgeously. So this were my spring make up additions. Just looking at them makes me happy. I also have covered my house in fresh tulips and narcisses. I love to buy the potted ones and see them bloom within a day. What are your make up spring additions? 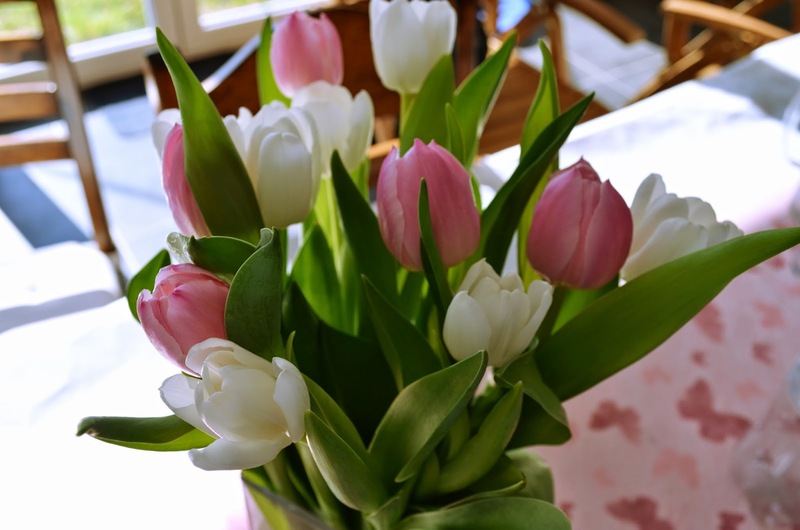 What puts you into a spring mood? Let me know in the comments.